This weekend I received an email with a link to the investment slide deck that was used by Fyre Media in 2016 to attract funding for the Fyre Festival. We all know how that little adventure ended and it actually made for entertaining weekend-reading — especially the part where they talk about “what if we reimagined what it means to attend a music festival?” Well, they definitely managed to do just that! While it is easy to criticize Fyre with the benefit of hindsight, I couldn’t help but notice some parallels between this pitch deck and some “promises” we’re seeing in digital agriculture at the moment. First of all, the Fyre investment deck starts by calling the live music industry “broken” and accessing talent a “mystifying, inefficient and inconsistent process,” thus creating the sense that there is a need for a “fix” and that incumbent operators are “failing”. Recognize this in ag? How many of us have sat through a presentation of a agtech start-up that started with “By 2050 the world will have to feed 10 billion people” followed by a picture of someone practicing subsistence agriculture in sub-Saharan Africa? Yeah, most of us have. 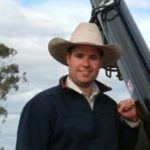 Just like Fyre didn’t mention those talent agencies that already organize a lot of talent and thrive in doing so, agtech presentations don’t often feature a Georgia farmer whose corn yielded more than 500 bushels per acre. Basically, what this says, in my understanding, is that they are going to think of ideas and then execute on them – but that might not sound as novel as “Ideate” which, as a non-native speaker, I had to look up in my dictionary. As I kept thinking about this pitch deck, the train wreck that the actual festival turned into, the legal action against its founders afterwards, and the many lost dollars by its investors, the thought occurred to me: How many of the current pitch decks that are getting shown in our industry will turn out to be the “Fyre Festival” of agtech? All too often I get calls from growers who had some novel new idea pitched to them, but something didn’t sound quite right, and they want to see if I have heard about it by chance. The technology solutions are often very diverse, but all promise to fix a problem that the grower didn’t know he or she had together with a return on investment that sounds too good to be true. Often these discussions boil down to the old story of a salesman telling a grower that something costs $10 per acre, after which the grower says: “But that’s $20,000 for my whole farm!” and the salesman then assures him with: “Yeah but if you break it down to a per acre cost it’s not very much!”. While the Fyre pitch deck was patronizing to the incumbents of the industry, burned a lot of people financially – both clients and investors — and ended up proving it was nothing more than ideas that would never eventuate, many people, including mainstream media and industry analysts, still believed that it would work at the time. And this is exactly what I see happening a lot at the moment in digital agriculture. Promises are made to problems that nobody knew they had, solutions are pitched that require equipment that is barely available to most farmers and, most of all, current agricultural practices are getting played down as “old fashioned” and “behind times”. And, just like with Fyre, some of the ideas / products that I have personally tried and am convinced that the ROI promised won’t hold up for 99% of the growers, seem to get the most attention. If we as an industry want to learn from Fyre-style debacles, we have to accept that nobody knows how to farm better than farmers themselves, and that we’re best off focusing on creating solutions that assist them with what they do best on a daily basis.